GV’s design for the zero-net Olver Transit Center exemplifies a shift in the role of twenty-first century urban landscapes in which energy neutrality is not enough and the landscape becomes the site of energy production. 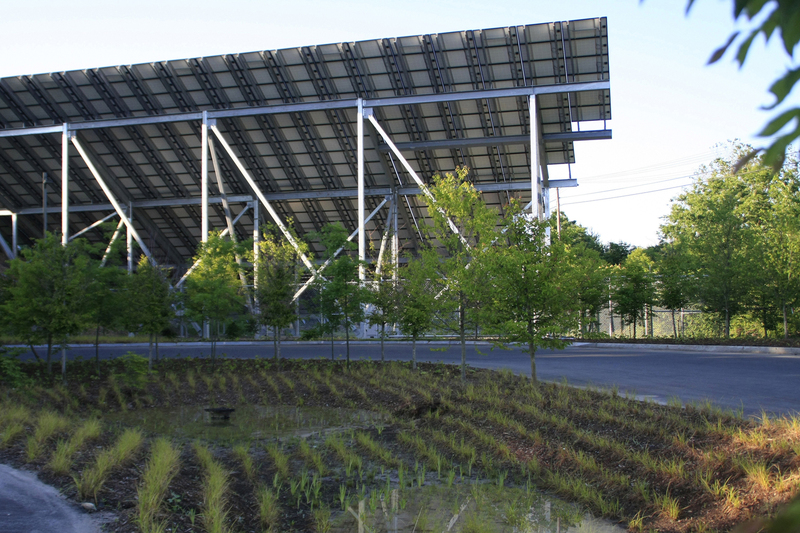 GV helped situate a 7,300-square-foot photovoltaic array, south of what will become a native beech forest. A clearing within this plantation contains two cells of a bioretention system that capture and filter storm water while supporting native sedges and irises.